Stress has become a normal part of our daily life that people don’t notice what it’s doing in their body. That’s why it’s important that you do your best to keep your stress levels to a minimum. You need to be proactive about it in a sense that you need to take steps in order to reduce your cortisol levels while you boost the number of feel-good hormones in your body. 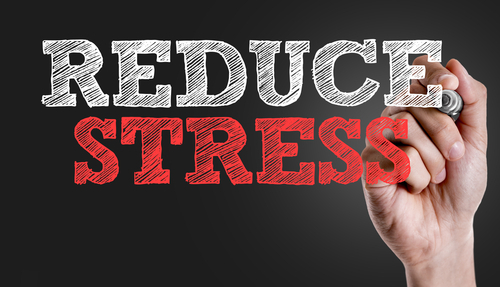 It’s not as easy as it sounds, but reducing stress is possible with the right and healthy lifestyle choices. Did you know that the body releases feel-good hormones when you work out? It’s not made instantaneously obvious considering your initial sensation when getting into exercise for the first time is fatigue. But as soon as it becomes part of your routine, you’ll start to notice the positive effects that working out can bring not just on your physical self but also on your mental health. It is also important to note that getting more happy hormones released can be helpful in alleviating pain and decreasing the stress in your body. These good hormones aid in the soothing of muscles and the elimination of adrenaline accumulation. Simply put, exercise is the body’s natural anxiety and depression cure. Don’t think about how sweaty and tired you’ll get. Think about the long-term benefits. Of course, it’s also possible to overdo it. So, know your body’s limits. Exercising too much is as bad as not exercising at all. Experts suggest 150 minutes of moderate working per week, which gives you 30 minutes daily for five days. That should be enough. But if your goal is to lose weight and reduce stress at the same time, you’ll have to boost the length of your workouts. To achieve such results, experts suggest working out twice as much. Full spectrum hemp oil is perhaps the best way to reduce stress in your life, and it’s so quick and easy to do. There are a lot of companies out there, but choose a high-quality product to see the best results. You can simply add it to your food, drinks, or just place it under your tongue. Remember to choose one with no artificial ingredients in it! If you’re not keen on doing exercises that involve too much physical efforts, there’s yoga as an alternative. Yoga provides the gains of meditation and exercise simultaneously. While yoga is not as intense as other exercises, it also offers several health benefits. For one, it’s highly helpful when it comes to reducing stress because it enables people to concentrate on their breathing. With yoga, you’re able to concentrate on how your breathing and better blood circulation can enhance your health. Clinical studies have shown that yoga is greatly helpful when it comes to regulating anxiety, treating bodies of physical afflictions, and boosting mental health. 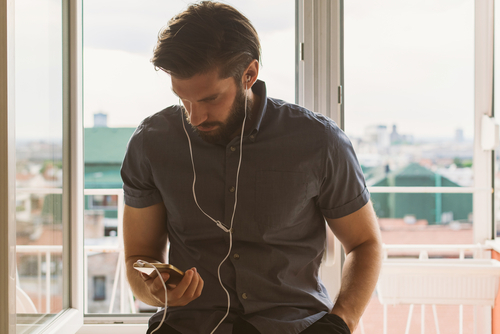 Listening to music seems to be a usual thing to do, but have you noticed how it also seems to improve your mood? When you listen to a great song and you find yourself feeling better after a bad day, it’s because your brain is reacting to music in a positive way. Listening to music actually releases feel-good hormones in your body, which helps improve your mood and just makes things so much better for you. From feeling hopeless and stuck, you feel your spirits being lifted after hearing a great track. Just make sure it’s the kind of music that makes you feel good, not the sad and angry ones. Meditation has a long history of being used as means of alleviating stress and curing ailments. Even in the present meditation is still used in herbal medicine and holds scientific substantiation in its effectiveness for boosting physical and mental health. With meditation, people are able to manage their emotional and mental troubles profoundly. This practice helps to increase the amount of air that your body gets as you connect with your mind and soul, concentrating on the way your breath fuels your body and revitalizes your organs. Mindfulness is crucial when it comes to sustaining a healthy body and mind. People who are mindful are bound to experience health benefits, such as weight loss and improvement of mental focus, to name a few. Those people who find themselves constantly stressed are usually the ones who have a negative mindset about almost everything. They’re consistently worried about things that they can’t control and choose to wallow in negativity instead of appreciating what they have. Of course, people who have made being negative into a habit will find it hard to see things in a more positive light. This negativity can come from deep-seated pain and bitterness. Your self-esteem may also be lacking, which affects how you perceive life and the things happening around you. If you’re one of those people who find it hard to see things positively, you can try cognitive behavioral therapy or CBT. Here, therapists help patients deal with stressful situations efficiently by thinking and acting differently rather than depending on one’s older methods of coping. The challenge is in modifying your thought processes. With this, need to alter the way your body and mind respond to predicaments and other unpleasant scenarios. What CBT strives to achieve is not to completely eliminate stress from your system because it’s not possible. 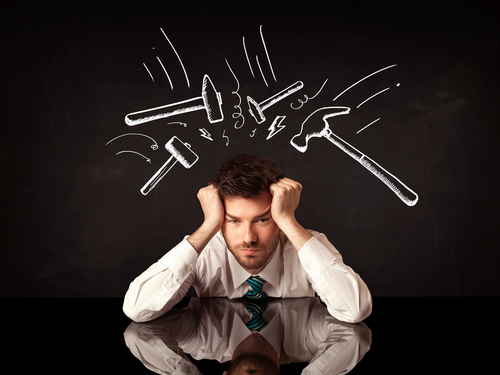 What therapists try to accomplish is help people change how they react to stressors. By being able to cope with negative events in life effectively, you’re helping yourself lessen your stress levels naturally.